As per the public consultation period of the Strategy for the Future Development of Greenways, we have reviewed the Public Consultation Paper and make the submissions and observations in this document. The Connemara Chamber of Commerce is based in Clifden, Connemara, Co. Galway, has a high membership level and is a very reflective representation of the views of the business community in the Connemara region. 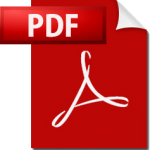 Questions for consideration – we have answered your questions in this document – see page 2 onwards. 1. Get it underway fast – the delays (for whatever the reasons are) are holding back a higher quality of life for locals, are contribute to global warming and are holding back a hugely untapped tourism potential. 2. Rural Regeneration – The development of Greenways should be an obvious pillar of the governments rural strategy and they should be pursued with the gusto of Rural electrification back in the 1940’s. Suitable for all manner of self-propelled vehicles: wheelchairs, buggies, bicycles and the like along with pedestrian traffic of course. Be properly fenced to give sufficient privacy to those who live and work close to and on such greenways. 4. It’s now more challenging to walk or cycle on our ‘quite country roads’ – The roads across the Connemara region (and in many locations across Ireland) are narrow and getting increasingly more hazardous. The successful marketing of the West of Ireland under the Wild Atlantic Way brand is bringing much needed trade here but it is hugely predicated on motorised transport (in no way the fault of the tourism marketing chiefs – they are working with what is there). The increase in car and bus traffic is palpable making even more challenging to use as a cyclist or pedestrian. 5. The Connemara Greenway is of critical importance to the economy west of Galway city. We wish to replicate the success of Co. Mayo’s Great Western Greenway and arguably its needed here even more. P.s. see next few pages for answer to your public consultation paper. Do you agree that the State should invest in greenways? 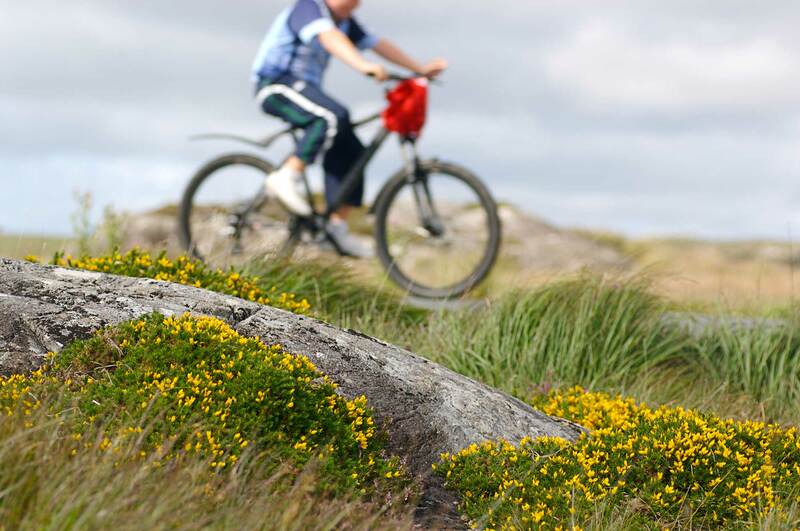 What do you consider to be the most important benefits that greenways can deliver in Ireland? 1. Via increased visitors, they inject an economic boost into rural areas in particular. Typically, they also begin/end in urban centres so they bring a benefit to both urban and rural economies. Are there benefits to be derived from greenways other than those set out above? Carbon reduction. Improved mental and physical health. Reduction in road crashes and fatalities. What benefits should be given primary consideration when considering investment in future greenway projects? Tourism is an export business so it brings money into the country. It differs only from other exports in that the product is consumed here. The economic benefit via tourism should be given primary consideration – increased economic activity in an area will lead to all the other benefits being realised down the road. Should the State invest in greenways that do not offer the full range of benefits set out in this Chapter, e.g. greenways that do not offer real potential to develop tourist/visitor interest but provide a local recreational facility? Yes – but the priority should be a high-quality tourism product on a fully segregated traffic free greenway. Perhaps a ‘Phase 2’ approach can be taken to provide a local recreational facility which can piggyback on the success of greenways prioritised for visitors. How should local authorities and/or other greenway project developers engage with local communities on greenway proposals? Step 1 Consult the local landowners in advance of any other stakeholders! Step 2 Consult the local landowners in advance of any other stakeholders!! Step 3 Consult the local landowners in advance of any other stakeholders!!! Step 4 Once an ‘on the ground’ understanding has been achieved – move on to the other stakeholders. What level of consultation should take place and at what stage should this be initiated? High level of consultation – and as early as possible. Is consultation as part of any statutory requirements sufficient? No. Landowners are a powerful group and are the custodians of the land. Consultation efforts to date have been largely unsuccessful possible to an adherence to ‘statutory requirements’ and there has not be enough consultation. Should local authorities and/or other project developers seek to use State-owned lands, where possible, for the development of greenways? Yes – but not to the detriment of the quality of the tourism product. E.g. Routing a Greenway away from key scenic areas just because it may be ‘easier’ or ‘cheaper’ for the authorities will result in a poor tourism product and ultimately will reduce the economic benefit and under-utilise the scenic amenities. Are there reasons why State-owned lands should not be used for the further development of greenways in the State? Yes – where the routing of paths through state lands adds to the detriment of the quality of the tourism product. E.g. Routing a Greenway away from key scenic areas just because it may be ‘easier’ or ‘cheaper’ for the authorities will result in a poor tourism product and ultimately will reduce the economic benefit and under-utilise the scenic amenities. Just because the land might be available it doesn’t mean it is suitable. Are there particular types of State-owned lands that would not be appropriate for the development of greenways? If so, why? Where it will have a significant negative impact on Special Areas of Conservation (SACs) then State-owned lands should not be pursued. Minor impact on SACs should be allowed if it adds to the overall appreciation of the landscape and where it connects up to other existing paths/greenways lie nearby. How can the synergies between ‘blueways’ and ‘greenways’ be maximised to provide most benefit to the future development of outdoor recreational infrastructure in the State? Ensure the blueways and greenways intersect/link up where possible. Possibly, in the aforementioned Phase 2 local recreational facilities, priority should be given to linking blueways and greenways. Is the permissive access model an appropriate basis for the future development of greenways in the State? Permissive access arrangements can avoid potentially expensive land acquisition costs in the development of greenways but are there other benefits to using this model that would render it more appropriate in certain circumstances? With a high level of consultation and flexibility it may be easier to get permissive access. What type of greenway projects would permissive access be suitable for? Land that is under the ownership of 1-2 people. Some landowners may be happy with getting fencing and better access to their holdings in return for permissive access. These situations are very localised and are suited to smaller projects only in our opinion. Greenway projects & permissive access could also be linked to the provisional of national and European agricultural subsidies. Are there projects that it would be unsuitable for? Permissive access is not a viable option for a national greenway strategy. The economic and social benefits that the state would enjoy from all of these new greenways is immense. Permissive access is trying to get greenways ‘on the cheap’ It is unfair to ask all the landowners on such greenways to give permissive access when all around they see economic advantage going to large swathes of the community and little if anything going to them. It is too abstract of a concept for most landowners to give up land for the greater good when such huge amounts of state money is spent on other state purchases/projects such as roads and motorways. They own the assets in questions and should be compensated. Where a proposed greenway route involves access to privately owned land do you think that CPO is a valid mechanism for the acquisition of land on a route? Yes – but a fair price needs to be given, early consultation with owners of privately owned land needs to be conducted to get their input on their usually very valid concerns. All reasonable accommodation works should be carried out. We suggest the establishment of a national working group that would assist local authorities etc to engage with landowners so their concerns be taken into consideration and have a national approach to engagement rather than an individual local authority approach. This would create a level playing field for all parties and iron out many of the same issues that no doubt crop up around the country. Drawing on the experiences of other greenways would help here also. If you don’t think CPO is valid, what alternatives would you suggest? At what level should consultation take place with landowners where CPO is being considered – at the individual landowner level or with representative bodies? Local landowners with perhaps a neutral arbitration body such as the aforementioned group to give protection to both the state and the landowners. Should the concept of the National Cycle Network as proposed in the 2010 NCN Scoping Study be developed or set aside? Is it appropriate for the State to invest in individual greenway projects that may never have potential to connect to other greenways or substantially off-road cycle facilities? Yes. But it should be done on a potential for economic return basis. Should the Greenways Strategy aim to develop a network of interconnected greenways or should alternative approaches be considered? Given the relatively small size of Ireland, a network of interconnected greenways should be the approach. Do EuroVelo 1 and EuroVelo 2 offer an approach for the development of greenways and other cycle routes in Ireland? Do you have experience of cycling on a Eurovelo route on continental Europe? Do you think the development of EuroVelo routes in Ireland would help to increase cycle numbers? Yes, but not in significant numbers to maximise the export potential of tourism. They also do not really add to local amenities. Should the focus of the Greenways Strategy be on greenways in the strictest sense (fully or substantially off-road) or should the use of lightly-trafficked roads like those on EuroVelo routes also be considered if a ‘network’ approach is to be taken? Greenways in the strictest sense (fully or substantially off-road). EuroVelo routes are short-sighted and a poor alternative to walking/cycling paths. What role, if any, should EuroVelo routes play in the Greenways Strategy? Perhaps in the connecting up large cycling hubs. Should the Greenways Strategy address the development of urban greenways or should these continue to be pursued in the context of urban Transport Strategies as referenced above? To us, the development of Greenways should be an obvious pillar of any serious rural regeneration strategy. Therefore, in our opinion Urban Transport Strategies should deal with Urban Greenways. What type of surface should be used on Greenways? Blacktop – like the one used on the Great Western Greenway in large sections. Should different areas (rural/urban) have different surfaces? Should access be controlled or open? Not overly sure what this question means. Like roads, motorways etc we think they should be open. However, due consideration at an extremely early stage needs to provided to the landowners as if they have concerns about very close or direct access to their property is a concern then perhaps at night access should be controlled.